Welcome to Tenant Services! Check out the latest events for our building this month, green office programs, overtime HVAC request form, access to Aware Manager and the Riverfront Plaza property handbook. Riverfront Plaza is one of the most prestigious buildings in Chicago. Here you will find building information, stacking plans and more. Light out in the office? Locked out of the office? Place requests for your suite here. Riverfront Plaza offers an unsurpassed menu of on-site amenities including an on-site restaurant, fitness gym, and green initiatives. 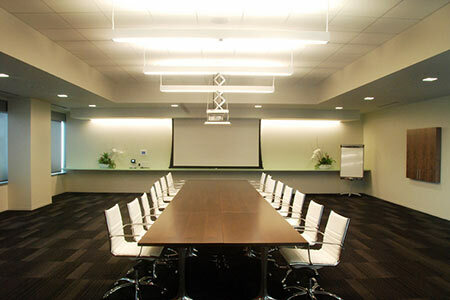 Our conference rooms provide privacy and sophistication in a convenient way to host corporate presentations, and seminars. To view the layouts for the conference room, visit our gallery.